Attention parents of pint-sized Paw Patrol fans! Have we got some pawsitively amazing news for you! 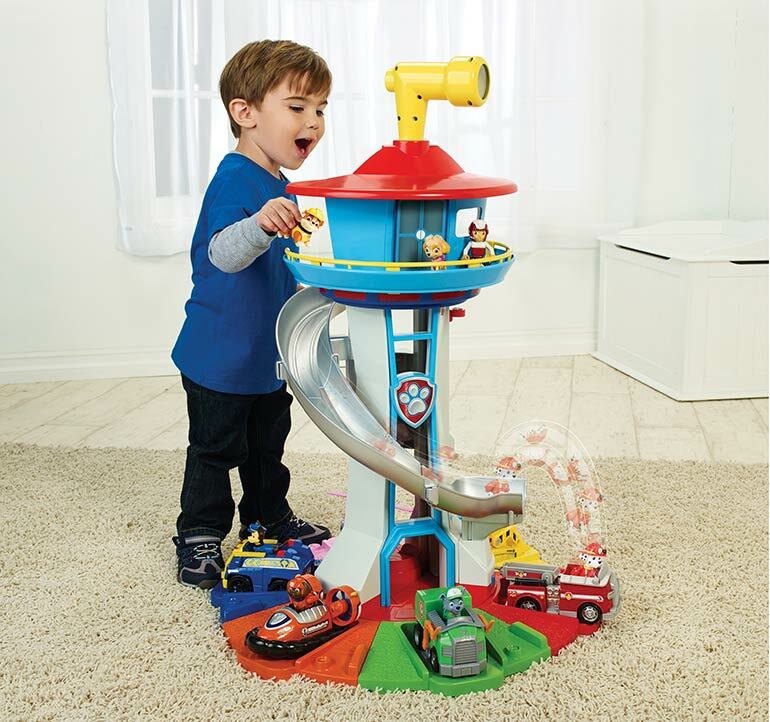 Ignite your children’s passion for Paw Patrol by winning them a tower of Paw Patrol toys. We have one Paw Patrol Prize Pack to give away, valued at more than $520 and featuring exclusive Paw Patrol toys you can’t buy in stores! If your little ones are slightly obsessed with Paw Patrol, you’re certainly not alone! Parents across Australia have succumbed to the Paw Patrol pre-schooler frenzy and accepted that the cute canines are part of the daily television show rotation. Most likely on repeat. 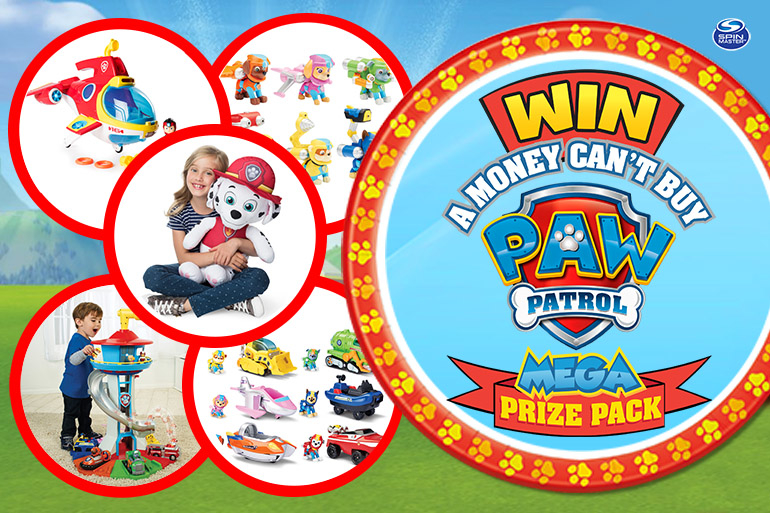 Well, mums and dads, bring their love of Paw Patrol off the big screen and into their playrooms with this major prize pack. A limited edition plush Marshall (not available in store). 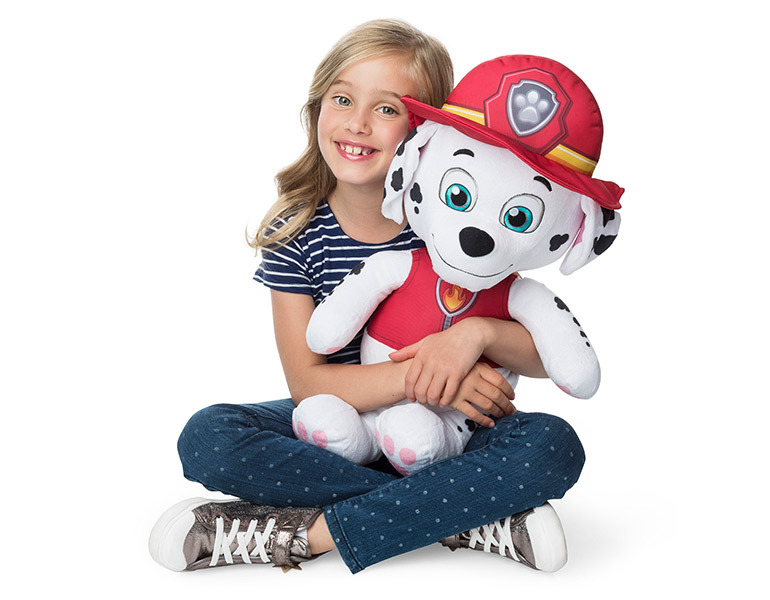 Sitting at 24 inches, this plush puppy is cute, cuddly and sure to become one of your child’s favourite soft toys. My Lifesize Lookout Tower ($199). Standing at 75cm tall, kids can scope out Adventure Bay and take pretend play to new heights. Six Sea Patrol themed figurines ($16.99). Enlist the help of Marshall, Chase, Rubble, Rocky, Zuma and Skye for a flurry of four-legged fun. Six Sea Patrol themed vehicles plus pups ($24.99 each). Little ones will also love these adorable vehicles. Race with Chase, zoom with Zuma or ride with Rubble! Paw Patrol Sub Patroller transforming vehicle ($69.99). Take to the Bay with the all new Sub Patroller which soars through the sky and dives into the imaginary sea. 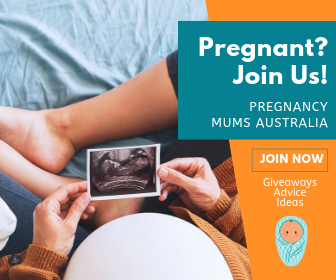 We are heads over paws excited to give away one Paw Patrol Prize Pack to a lucky mum and her little one. 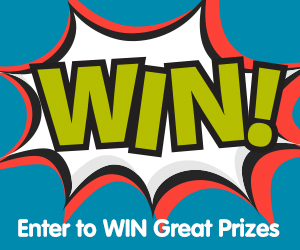 Valued at over $530, the prize pack contains everything children need to create their own unique Paw patrol missions. 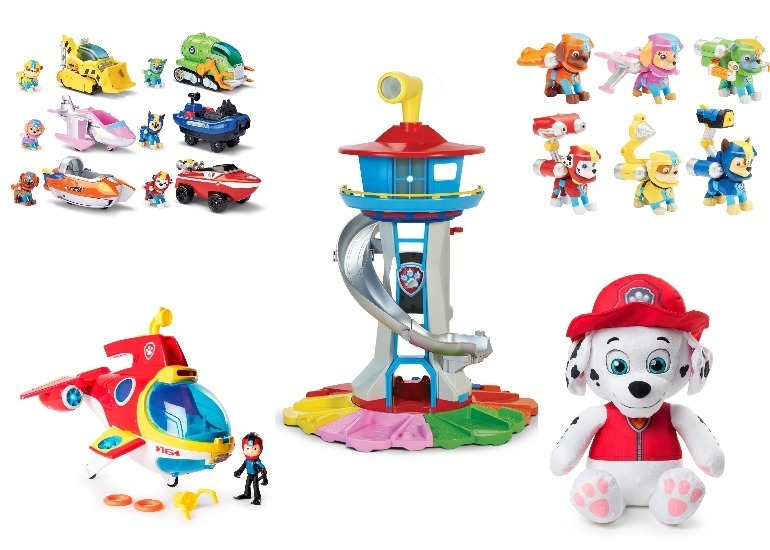 Check out the entire Paw Patrol range over at Paw Patrol HQ. To be in he running for this money can’t buy prizepack, simply complete the entry form below and you’re done! By clicking ‘Submit Entry’ you agree to the competition terms and conditions.